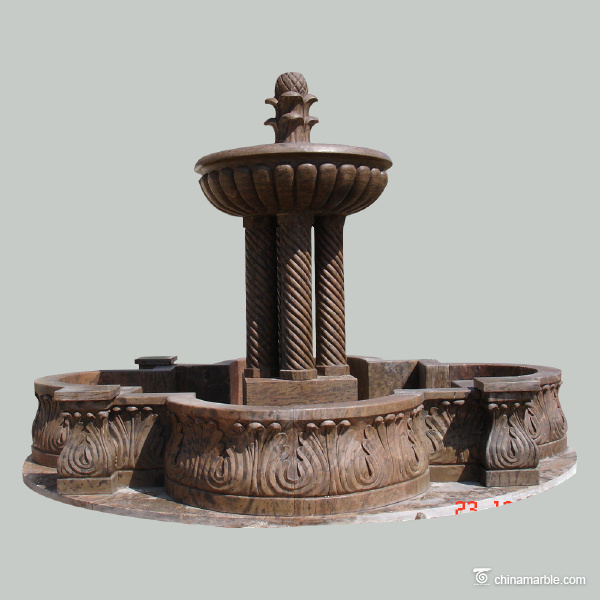 Package volume and way: 1.65 cubicmeter, packed well in strong woodencrate and treated. 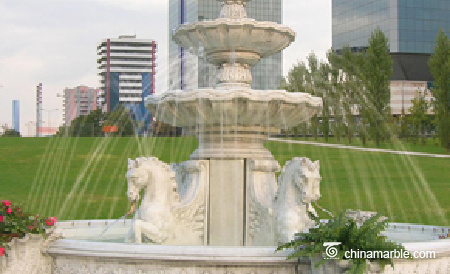 Delivery time: 4 weeks to ship from Tianjin port, China. 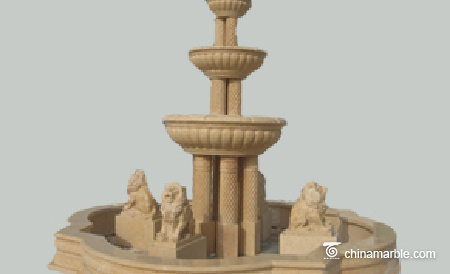 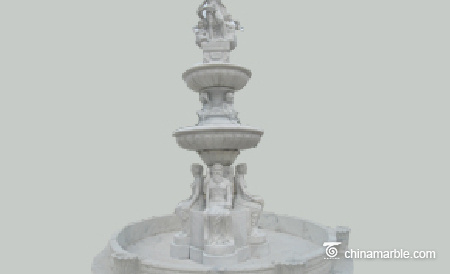 This excellent marble fountain ishand-carved in a dark brown marble. 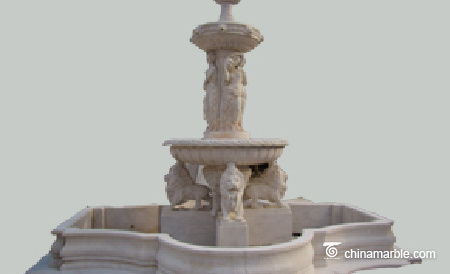 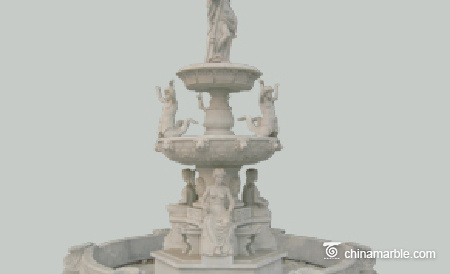 The screwd pillars and finely carved andshaped surrounding wall features this fountain very well. 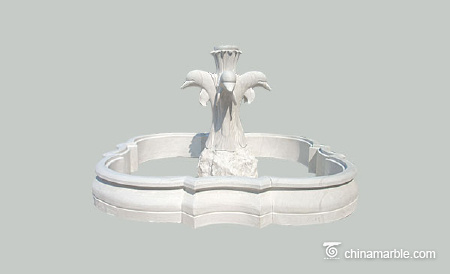 Water flows out oftop bowl into the pool . 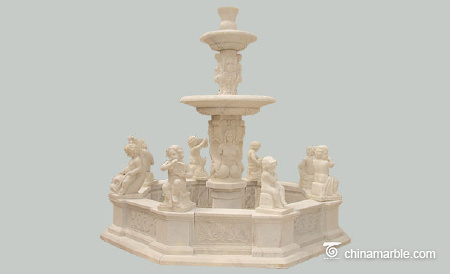 Not a big onebut beautiful marble sculpture to put in your garden or front house. 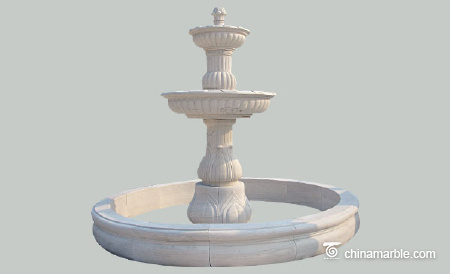 Dimensions and stone color can be changed atyour needs.